As a missionary who is also the director of a Bible Institute, from time to time I ask myself the question of whether or not I should be directing a national work. Should I be the one doing this job or should I allow the nationals to assume these reins and help them in the development of their ministries and serve to assist them in the larger vision and development of the national church? Certainly I’m aware of the Missions goal of establishing and promoting indigenous churches among all people groups: We are supposed to be working ourselves out of a job. And certainly I’m aware of Hodges’ three point characterization of an indigenous church, one that is: self propagating, self supporting, and self governing. So the question I ask myself is, am I hindering the growth of national educators and the national church by being a Bible Institute director and, if so, should I seek ministry in some other capacity? As far as I can tell, the church in Nicaragua is an indigenous and viable movement. The missionaries here neither lead the church in evangelism, nor are on the executive board, nor pay the salaries of any national pastors. It seems to fit into the indigenous definition. But is this definition adequate here in Nicaragua or are there other angles that need to be developed or finer lines that need to be drawn in our understanding of indigenous works? This little article neither intends to enter into dialogue with Hodges’ three point definition nor does it try to answer any of these latter questions. What it does attempt, however, is to show that, even in an indigenous church setting, it may be right for a missionary to fill a leadership position if that is where he or she best fits. To kick the ball a little farther down the field (I’m thinking a soccer ball, of course), if I hadn’t seen the need earlier for a Bible Institute director like me in Nicaragua, I’ve certainly seen it as of late. I’m referring particularly to something that just happened in the church I attend. There I witnessed, and quite clearly I might add, an American preacher preaching what I believe the Apostle Paul would have called a “different” gospel (Gal 1:6). Had I not been there myself I might not have believed it. Had I also not had the life experiences and theological training I’ve had, I might have missed it. But I’m glad I didn’t miss it. And I’m glad I had the training I’ve had. But those experiences and training did not come overnight; there was a great cost involved. Thus, that second decade was a decade that included patience, a moving into full-time ministry, more intense biblical and theological studies in seminary, years which included incredible stress and anxiety, but years that also gave way to a clear and distinct Missionary calling. 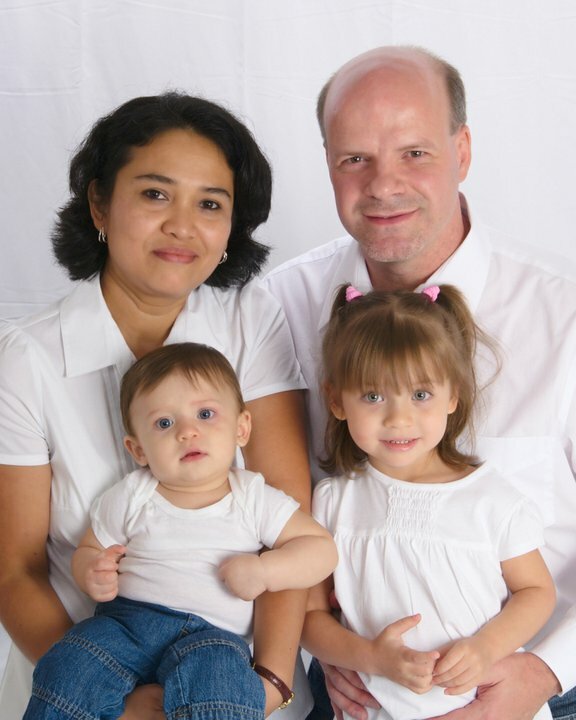 Although difficult, those years proved worthwhile and fruitful as they proved to be a time of continued biblical formation and study without distraction or worry or debt because we had no children, or home, or worldly burdens to keep us tied down. Had I not had those years of training I might not have noticed so much what was being said that day in that church service. But I thank the Lord that I did notice. And I thank Him that it disturbed me greatly. Truth be told, I really wanted to just hightail it out of there because I could never really stand listening to a cross-less, Christ-less, Gospel-less gospel. But I forced myself to sit through that message that Sunday, taking detailed notes, using whatever scraps of paper or bulletin I could find in my Bible. My only fear was that perhaps the people around me would think that I was taking notes because I was in hardy approval of the message. I was not. And, so it seemed, that only my wife and I were fully aware of the danger being presented to the true Gospel that day, for we were the only ones not standing in ovation as the other 2,000 or so people were doing. I share all of this not to lift myself up or to pat myself on the back as though I were someone higher or better or brighter than others around me here in Nicaragua. The Lord knows I do not mean this. But I share this because I know a little of what it takes to be trained in the gospel of the Lord and I know a little of the cost that this kind of discipleship demands on those willing to serve the Lord as missionary educators. As we know, knowledge and spirituality do not come quickly. Like most of us understand, teaching is a slow process that demands time and patience with the hope that what has been sown in tears will someday be reaped with joy. I often think one needs the patience of a Job to work in a Bible school setting because there are few early harvests in learning and education. This is something I remind our students of all year long. But I also remind them that a harvest will come someday. And they will be thankful that they stuck-it-out and finished their studies when they begin seeing the fruit of their educational labor. So what was being presented that day in church if not the true Gospel of Christ crucified? It was a little bit of Copeland, a little Hagin, a little Capps, and a lot of C. Peter Wagner’s Dominion Theology. It was the clearest presentation in my mind of what occurs when there is the perfect storm of the Health and Wealth gospel combined with the new Dominion message. It was incredibly frightening. But it was also quite encouraging because it was so easy to spot. I don’t think I’ve ever seen such a message in such sharp contrast to the true Gospel of servanthood and the cross. It was so obvious. I suppose had I not been teaching Galatians at the time, I might not have seen it so clearly. But there it was. What was also troubling, though, was that it had many of the elements of the Word of God and the true Gospel, but it had framed them and reorganized them in such a way as to completely change the meaning and message of the New Testament Gospel. This is what probably made it difficult for undiscerning eyes to see. The preacher’s storyline was basically this: God created man as an exact duplicate of himself when he placed him on the earth. In so doing, God gave man complete ownership, dominion and authority on the earth as God yet man forfeited this dominion when he yielded to Satan and took of the forbidden fruit. Thus, man, although the true owner, was placed under the dominion of Satan (and we know that Satan indeed has authority because he offered “all the kingdoms of the world” to Jesus when he tempted him in the wilderness). Salvation in this system is simply this: Jesus died to give man back his dominion on the earth. That is, man is the true owner of the earth, the head, and not the tail. What’s more, when Jesus said in Acts 1:8 that “you shall receive power when the Holy Spirit comes upon you,” that “power” was not for the preaching of the gospel of forgiveness to the nations, but for the exercising (again) of man’s dominion over the earth. True biblical salvation says something else. It says that man is justified by grace through faith from sin. It presents man as in need of substitutionary atonement; one in need of a reconciler and redeemer, one in need of Another who sits at God’s right hand forever serving as mediator and high priest. But the epicenter of man’s problem is that of sin and rebellion and offense to a powerful and holy God. Man’s true problem is not a loss of his worldly dominion. That is a side-effect of his sin that will be resolve by the Lord when he returns to earth a second time. No, man’s true problem is his separation from his Creator. Thus, the true Gospel is that “God so loved the world that he gave his only begotten Son, that whosover believeth in him should not perish but have everlasting life.” It really has very little to do with dominion, financial prosperity, and perfect health being claimed as kingdom rights. The most unsettling thing about listening to this message was that seemingly nobody else had a clue as to what was being presented that day. Not the congregation. Not the pastor. Not the associates. And it wasn’t as though this preacher was trying to hide anything. This particular preacher clearly and deliberately presented his message as a new “revelation” from God. He presented it as the true Gospel that had been hidden, as though it had never been heard before this day. My impression was that for all those years of hearing the true Gospel from this pulpit (and we did hear the true Gospel from this pulpit), finally, for the first time, we were finally getting the key to all the gospel secrets. It was as though all the preachers before hadn’t gotten it right. Yet nobody, it seemed, observed this thought. 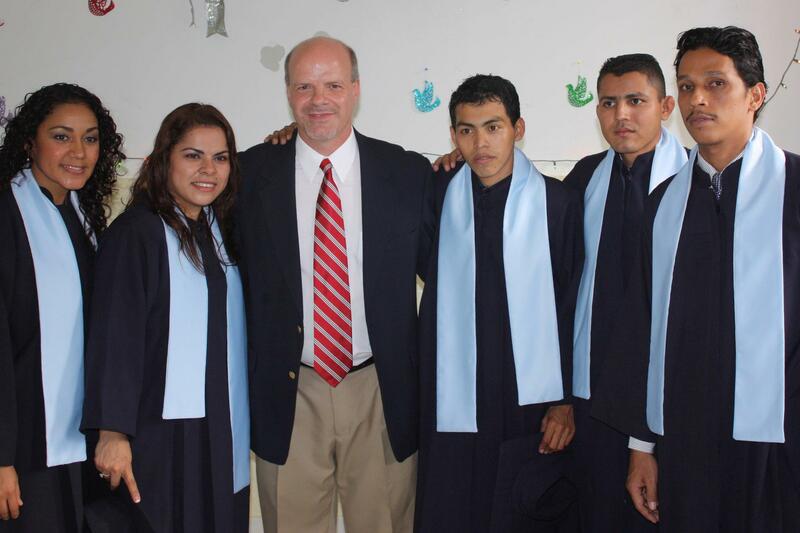 Our Mission at the Bible school in Managua is to help prepare and form biblically, theologically and spiritually humble ministers, missionaries and Christian workers for the Lord’s work among the nations. We go to great lengths in teaching the basics of the Christian message and the doctrines that we live by and have come to love, particularly those from an Arminian, Wesleyan and Pentecostal background. We feel here that if a minister does not master Matthew, Mark, Luke, John and the others, that if he does not understand the rudiments of a biblical worldview and theology, and if he or she does not continue in communion with the God who has called them, then those ministers are not going to be as effective as they can be. Our goal in this Bible school is to create a generation of pastors and missionaries and teachers who are some of the best equipped ministers in this part of the world. Scratch that, in all the world. Whether or not I am being true to a purely Indigenous-minded Missiology, I do not know. What I do know is that I am serving the church in Nicaragua where I feel most effective and where I and the national church feel it needs me most. 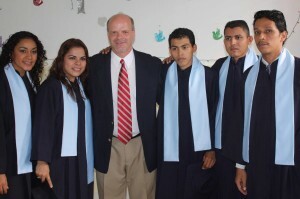 Could Nicaraguans direct this Bible school? Yes they could. And they have, too. But I feel my gifts, although not better than others here, are being used to teach and direct the Bible school with a view to giving the students the best and most useful tools for a sound and discerning ministry. I trust this service is both humble and pleasing to the Lord. And that is what I consider myself: a simple servant. It is the only way I know how to behave in the kingdom of God. Well said, Daniel. So important! I like the tone of humble servanthood and also authority in the Word. Compelling introspection of God’s leading in your life. Your last three sentences sums it all up. Many thanks–especially for the emphasis on servanthood and humility. Daniel, you hit the nail on the head! More and more we are moving away from our moorings of the centrality of the cross, the need for the atonement, and the need for total dependency on God. The scary part is that it is NOT so obvious to many. Many simply fail to connect the dots that the “new revelation” is not the Gospel at all. Thirty years ago when I was pastoring and some new truth would come along, I did not have the theological groundwork to shine the light and test what I was given. One good thing about someone that is NOT theologically grounded … is that they are not theologically-grounded! 🙂 In other words there is hope. Thanks Daniel for being that servant who rings the bell for theological clarity. Nice article Daniel. Keep up the good work of shaping the head, heart, and hands of future pastors. Surely the Lord has guided you to this strategic ministry.